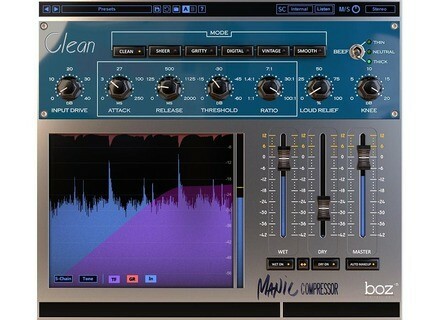 Manic Compressor, Software compressor from Boz Digital Labs. 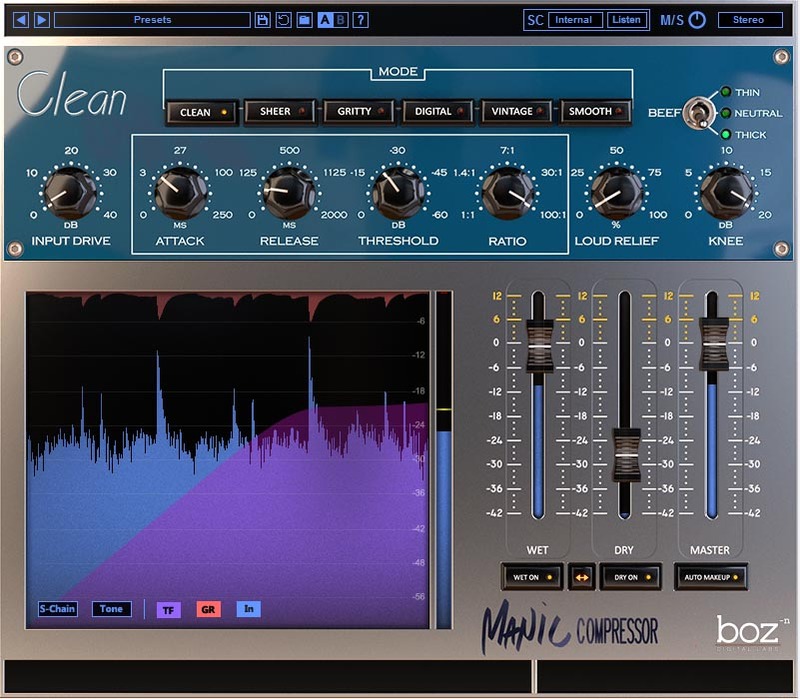 Attention compressor maniacs, Boz Digital Labs has just released Manic Compressor, which is actually six compressor plugins in one. Manic Compressor was designed with parallel compression in mind without complex routing or anything of the sort. Of course, many compressors now have a mix knob for blending the compressed signal with the dry signal, but Boz claims this just doesn’t give enough control to really make use of the extensive power of parallel compression. Manic Compressor provides individual wet and dry faders, along with an intuitive EQ section. It also allows to quickly switch between 6 different compressors without having to match settings. Although subtle compression remains possible, Manic Compressor is said to have been especially designed to be used at extreme settings while the Loudness Relief knob softens the compression artifacts even under super heavy load. Formats include VST2, VST3, RTAS and AAX Native for Windown and Mac OS systems (plus AU for Mac). Since its release comes so close to Black Friday, Manic Compressor is currently available for $79 using coupon code MANICLAUNCH, while the official introductory price is $99. In the future, the full price will be $149. A free downloadable demo is available at bozdigitallabs.com. Loops de la Crème releases Clap Pack Deluxe 2 Loops de la Crème's introduces the Clap Pack Deluxe 2 library for Kontakt, the sequel to what is described as the brand's most populat product. Rob Papen updates Blue-II Rob Papen's Blue-II has been updated with new presets. Waves' special offers this Sunday Today only, Waves has a special sale on three of its plugins.